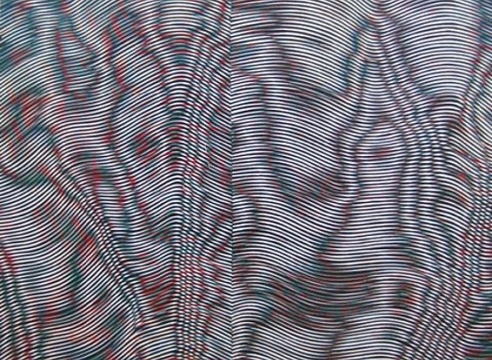 moiré 1111, 2011 / Acrylic on canvas / 78" x 72"
m1120, 2011 / Acrylic on canvas / 72" x 96"
Julie Oppermann's work pushes the limits of visual perception, making paintings that are physically difficult to perceive. 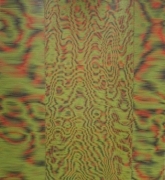 The scintillating effects arising through the calculated layering and juxtaposition of contrasting colors through repetitive line patterns elicit shuttering afterimages, optical flicker, and disorienting sensations of movement. 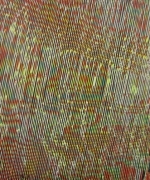 The paintings, on one hand, reference the digital, looking as if they might be computer-generated, vector-based interference patterns; up close, however, they reveal a gestural, intuitive approach. 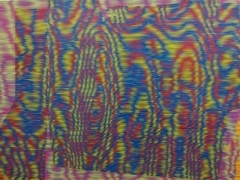 Glitches, bleeds and mis-registrations rupture the illusory field of the moiré, creating visual noise and also highlight the basic tools at work: taped-off line patterns and paint on canvas. 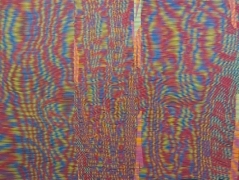 Where others approach ideas such as rasterization, pixelation, image compression, data loss and corruption primarily through the more obvious channel of digital media, Oppermann succeeds, instead, by effecting these phenomena directly through the medium of perception itself. 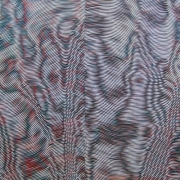 The glitch, so to speak, occurs in the viewing of the work, by distorting the viewer's field of vision, and interfering with their ability to "see" and look at the painting. Julie Oppermann is an artist from New York who lives and works in Berlin. She received her BFA from The Cooper Union, and a Master's in Neuroscience from the University of California, Berkeley. 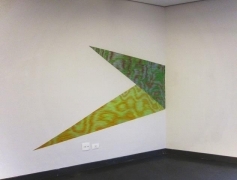 In 2012 she completed a residency at FAAP in São Paulo, an academic exchange with Professor Robert Lucander at the Berlin University of the Arts, and completed her M.F.A. at Hunter College. 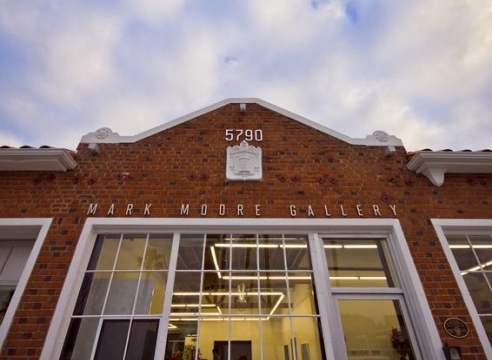 In 2013 she had solo exhibitions at Mark Moore Gallery in Los Angeles, and Galeria Árnes y Roepke in Madrid. 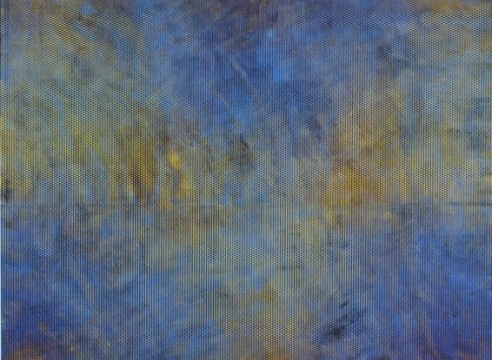 Her work is included in numerous public and private collections, including the Museum of Fine Arts Houston (TX), and the Museum of Contemporary Art, San Diego (CA).